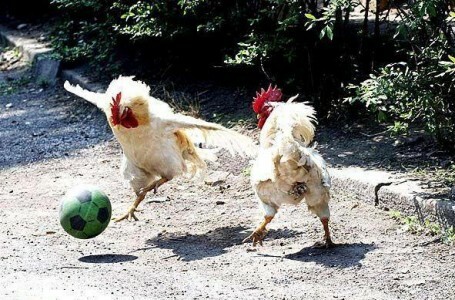 Chickens do not play soccer. But they do love to PLAY. Its a different type of play, its foraging play. Many chickens are not just satisfied with having a readily accessible storage of food. They want the thrill of the hunt, they want exercise, they want to be entertained. And well the noisy ones, they want it NOW!